I hope your weekend has been wonderful, I had a rather chilled one with my love and got some blogging work done ready for the week ahead, I love being prepared for the oncoming week! 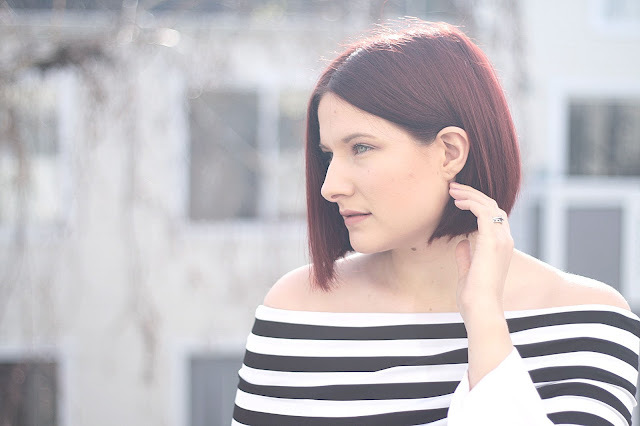 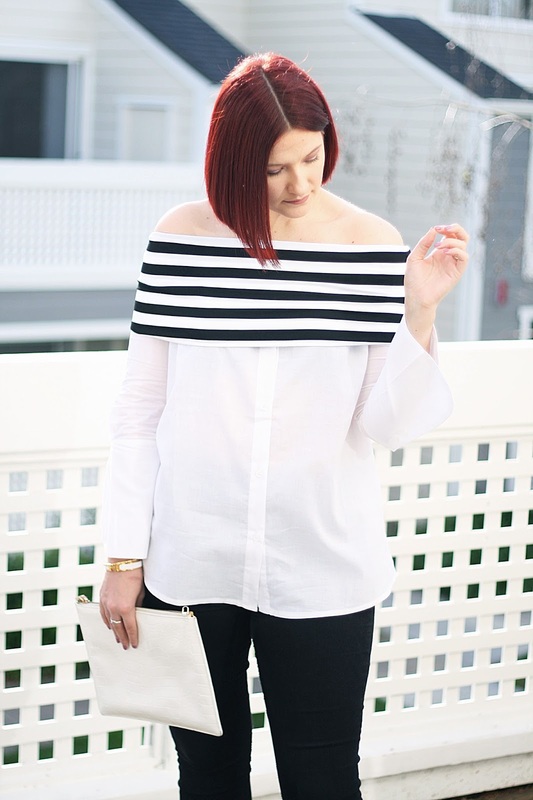 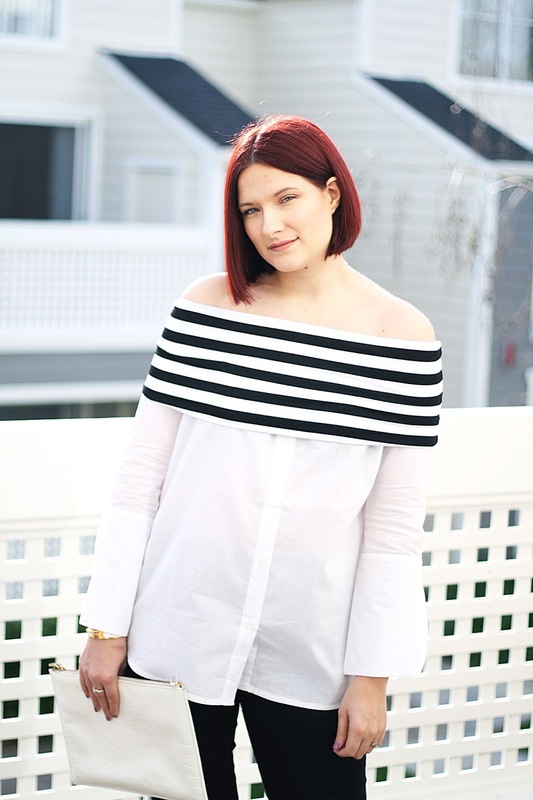 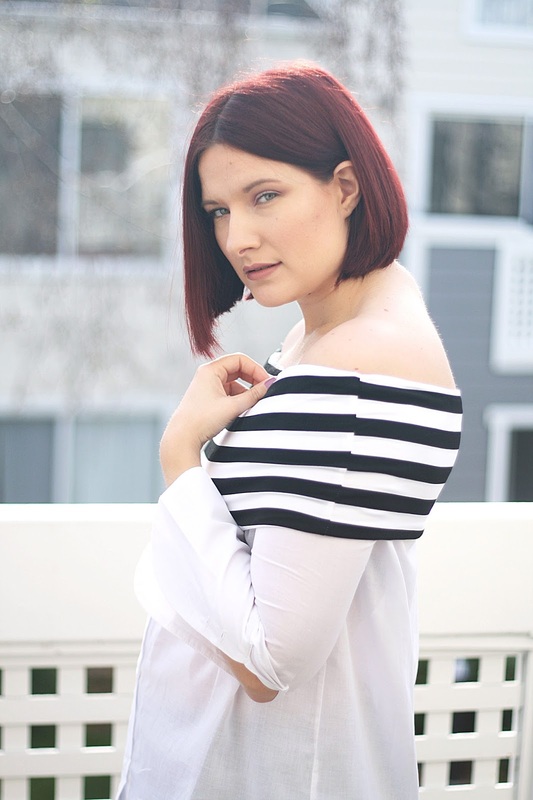 SheIn kindly sent me a couple of pieces that I am totally in love with, today I'm showing you this gorgeous off-shoulder stripe shirt but keep an eye on my blog for the other beautiful item which has ruffles galore! 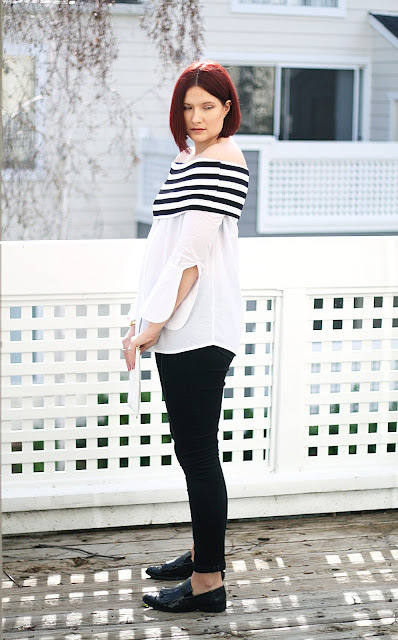 Let me know your thoughts on this look loves!